CONGRESS 15 | There’s hard work and there’s hardly working, then there’s tooting your own horn about the former. Rep. Eric Swalwell built his campaign last year on the slogan of new energy. Now that he’s in Congress, he appears to have a deep sense of insecurity whether his constituents now exactly how much time he’s putting in at the office. Right down to the second. In recent weeks, Swalwell has even laid out specific metrics to show voters how much he is doing in Washington with a graphic posted on Twitter. In the tweet, he touted flying 18,000 miles in April alone, holding two video conferences with area students, attending eight committee hearing and delivering four House floor speeches. Mind you, all endeavors that entail sitting. Swalwell also played goalie in a Congressional soccer game and attended two military homecomings in the Tri Valley. Earlier Thursday morning, he tweeted, “Today someone asked the length of my workday. I had [zero] idea. 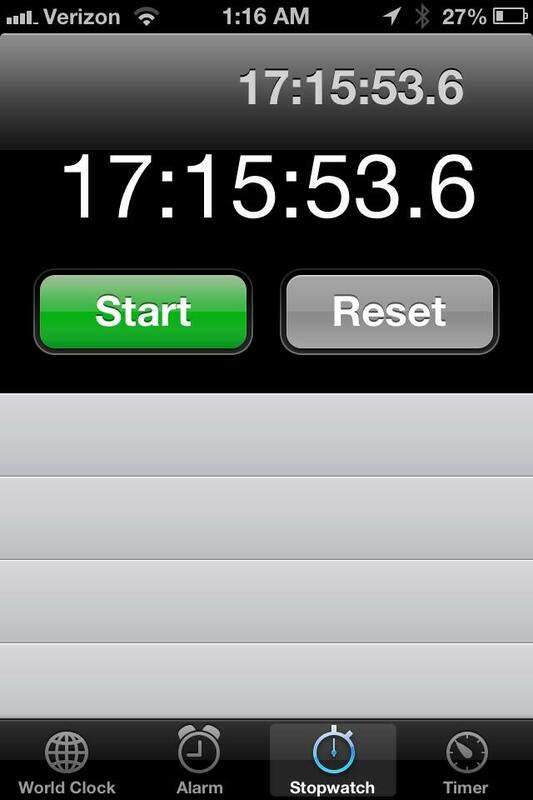 Then just saw I forgot to turn this off from today’s 5k.” The attached photo showed a smart phone timer clocking in at over 17 hours. Of course, this type of schedule is not conducive for any divorced 33-year-old to navigate the dating meat market that is D.C., which is why he told the San Francisco Chronicle last year he wasn’t looking to settle down and start a family anytime soon, but maybe later. Depending on your perception of his monthly log of activities, Swalwell is either extraordinarily more busy than you or alienating some poor Latino woman in Hayward working two jobs, caring for four children and wondering how she’s going to fix the blown engine on her 1998 Nissan Sentra. Most interestingly, though, is the continued mention of Swalwell’s travel habits between the 15th Congressional District and Washington. His repeated and masterfully dishonest conceit Pete Stark had become stranger in his own district angered many progressives in the area. On Election Night last November, one Democratic Party central committee member, already perturbed by Swalwell’s upset of Stark, angrily instructed me to follow Swalwell’s travel habits. “Make sure he’s in the district every weekend,” they said. “Request his travel records!” Through his recent social media activity, Swalwell seems very well aware of this criticism, although, some may not be convinced. Let’s just hope he doesn’t know about FitBit. Posted in CD15, congress, Eric Swalwell, hard work, transportation, Tri Valley, Twitter. Bookmark the permalink. Good man. Got my vote in 2014! Remind me of a guy my sister once dated who only talked about his job and how hard he worked in finance. Turned out he was a bank teller. These disappointed party insiders are still in denial that the November vote was the will of the people and represented the district. Some have been meeting with similar minded people for so long, they just assumed everyone else saw issues and incumbents just like they did. What was hidden is that tens of thousands of people only voted for Stark because he was essentially the only candidate on the ballot. I think some of them still think Swalwell's electioin was a fluke and that in 2014 “real” Democats will elect the candidate who is supported by the long time insider crowd. I don' think the candidate they put up will do any better than Pete. Voters district wide, including moderate lifelong Democrats, are simply tired of the crowd that has been running this area of Alameda County for decades. 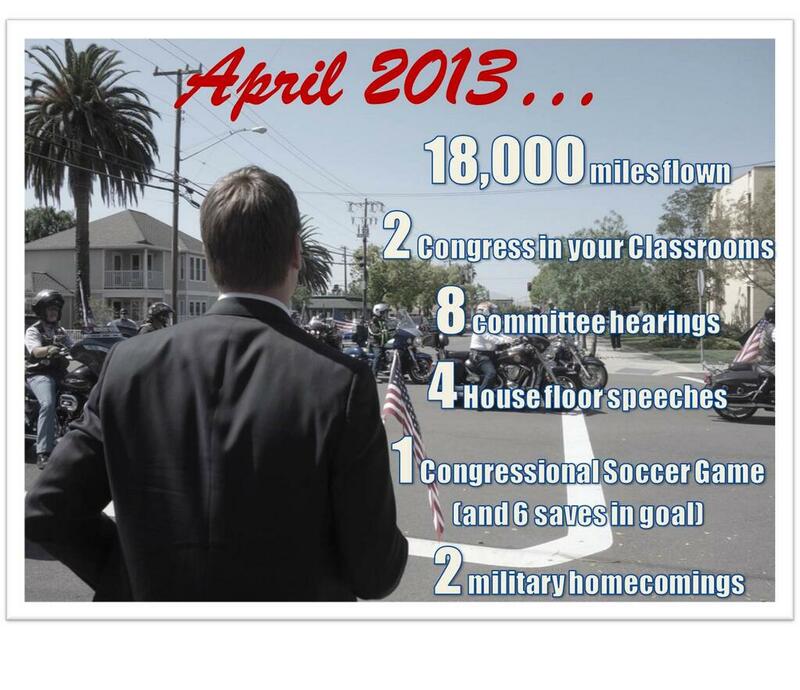 If Swalwell continues his current pace, he'll be given a second term in November 2014. You can't help yourself. Painting actually coming home to the district as a negative…your inability to leave your bias against someone aside is why you continue as a blogger and can't get a real job as a journalist. You're scared and you should be. Ellen Corbett will win easily in 2014 against Eric! Doesn't matter how hard he works if he votes with the other guys. Hopefully Corbett illuminates his votes on CISPA and his support for drones. Voters won't tolerate that. Let's say hypothetically that Corbett takes the voters who voted for Pete Stark and no more (she has broader appeal, but let's just assume). Then Chris Pareja jumps in the race as a Republican and steals away all of Swalwell's GOP buddies. Suddenly Swalwell finds himself fighting for second place. That would be beautiful. Guy's the rockin' super stud of the east bay. He'll be back for absulutamente! Eric all the way!! Ellen Corbett will beat Eric Who like a drum. Rat a tat, rat a tat, ba rum, ba rum. Hey, if you want to live in a dream world. Whatever. The scary aspect of having someone like Ellen in congress is that Ellen is all about Ellen. She will be another ineffective congresswomen. The more I see Eric the more I am convinced that I will end up supporting him. Ellen will have her fatass handed to her an platter. Give it up honey, no one is going to buy your crocodile tears. What's with this stupid analogy about some Mexican with 4 kids and no father to be found? My wife and I would rather have Ellen than someone like Eric who's been bought and paid for by the Dublin and Valley developers. He's as corrupt as corrupt can be. I'm tired of him selling out to the highest bidder (developer). Who are you the developer that paid him off for his vote? We can do much better! Bye Eric. Bye bye, Stark loser. New day has dawned, whether you like it or not. My family did not vote for Stark. We will vote for Ellen! If you have to tell somebody you're something, you're probably not. Men have too much testosterone –the women's group I belong to will vote for Ellen Corbett in 2014. It's time to put more women in the House of Representatives. We are way underrepresented there. We have 52% of the population and we should have 52% of the seats. Maybe instead of trying to block everything the President and the American citizens want–things will actually get accomplished through compromise and the less arguing and stubbornness. If people didn't vote quotas there wouldn't be such a preponderance of white males in Congress. I'm guessing you are a male. The males seem to be too stubborn and arrogant. More females need to be elected and they are just as good, if not better than men because they are more willing to work towards solutions. They should at least have half the seats, and they are not even close to half. My wife and I are voting for Ellen to break up this good ol boys club. She is just as competent if not better, and has a lot more experience. Spoken like a truly disgruntled lesbian. I'm married with children, male with a wife. You are definitely a prejudiced white male sexist. I hope you are not one of swallwell staffers? Really spoken like a disgruntled lesbian. I'm not a lesbian or a woman, but you must be a swallwell staffer, and I and my family will be voting for Ellen! BTW what do you have against the LGBT's? We need more women in public office. They are as qualified, if not better qualified. I'll be voting for Ellen also. My mother, daughters and daughters in law all support Congressman Swalwell. I'm glad he'll get some small amount of women's votes. Most women I know and most women's groups will support Ellen as they have in the past. The vote will enable Ellen to win this race in 2014. Ms. Corbett will come up well short, that's if she even runs. I've not read such a declaration. My prediction is that like Mr. Khanna, she passes on this district. Glad that the House leadership has embraced Congressman Swalwell. He's such a breath of fresh air after the last forty years. Fyi–Ellen has told all she is running. You have not kept up with the political news. She also moved and has been living in the District for quite a while now. Ellen Corbett is running and will win in 2014. She has won election in most of the new District twice now and is beloved by her constituents. Remember the house leadership embraced Stark, so embracing Swallwell doesn't mean much. Pete had lost touch with the voters, Ellen has not. Ellen will not make the mistakes Stark made and Eric knows it. He's in deep trouble because he's in the pockets of the developers and most voters don't want that corruption. Spoken like a truly disgruntled Stark loser. Congressman Swalwell is in touch with his voters and representing the district very ably. He will be re-elected because he represents our values. Ms. Corbett, who will soon have plenty of time on her hands, should consider getting back on her rocker to keep Stark company on the porch. She ought not to be afraid of making a public announcement of her candidacy. Obviously she is not too confident in herself. Also, nice that she has chosen to live in the district 'for a while now.' Not a new district to the congressman but his home. My family did not vote for Stark, but we will vote for Ellen. We don't like Eric taking all that money from developers and then voting their way. Stark lived in Maryland. Ellen lived in San Leandro until she was re-districted out of her Senate District. Then she moved to Hayward which is in her Senate District and in this Congressional District. Big difference between her and Stark. Also a big difference between her and Swallwell. She is much more trustworthy and the developers couldn't buy her vote . She will win in 2014. Huh? Since when did Swalwell turn 33? And when has he been divorced? I just stumbled on the article above and think you Steven Taveras must be truly miserable now that Ellen couldn't even beat the Republican candidate. You seem very bitter about Eric as a Congressman. 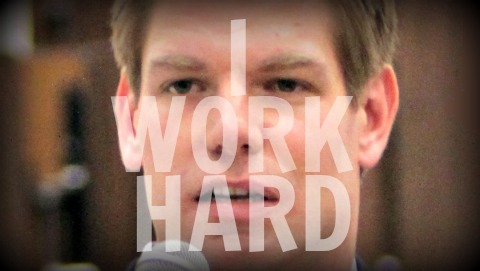 Its too bad we don't have more Congressmen with Eric's work ethic.